The thought of vertical blinds can conjure images of noisy, dated white plastic window treatments that are anything but stylish. 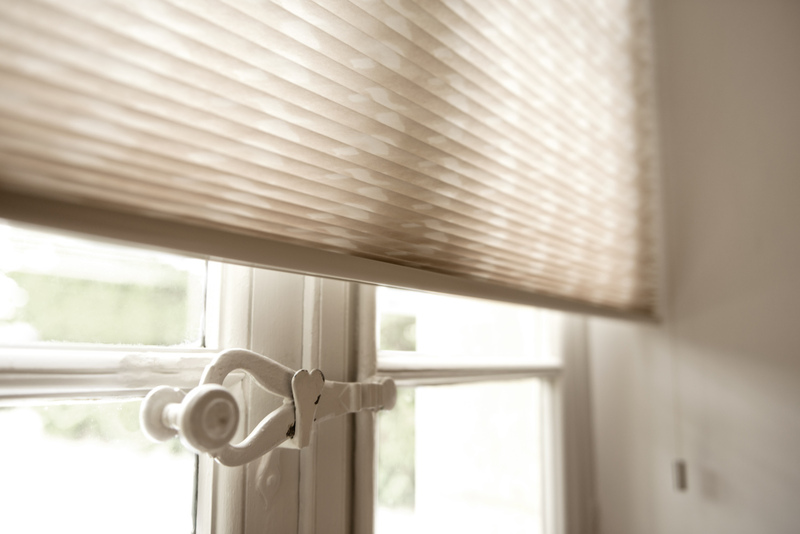 We’d like to offer you an updated alternative to those functional yet unattractive blinds: our stunning Panel Track Blinds. With more than 300 materials to choose from, you can add vertical blinds to your home and match any style, from modern to traditional. 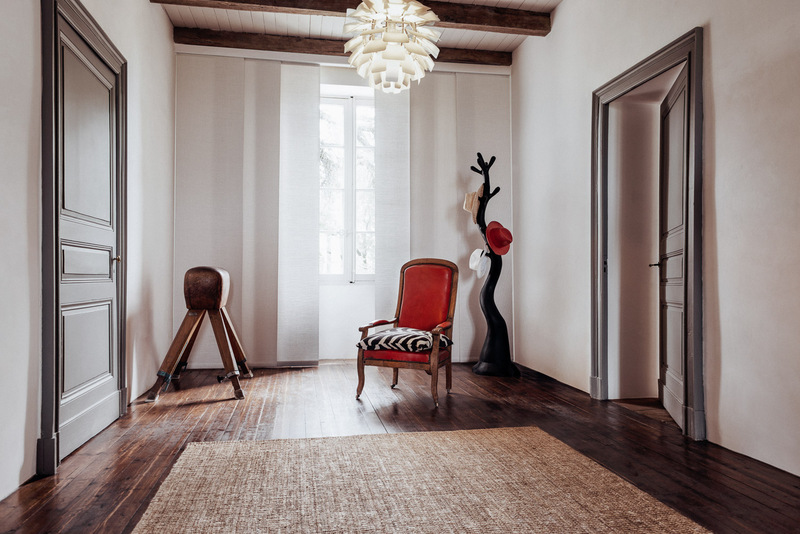 Try our Solar materials to cut down on glare on reduce UV rays entering your room, or add a touch of organic texture with our Naturals collection. 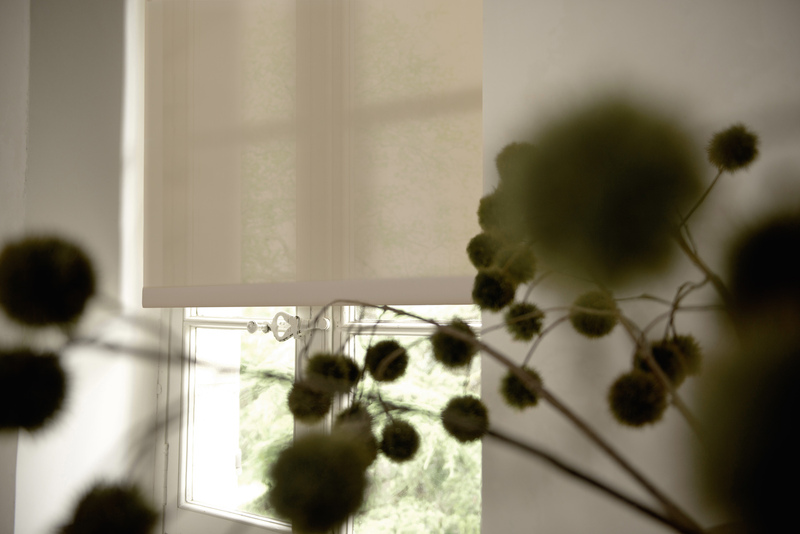 We even offer Chilewich designer materials for Panel Track Blinds. 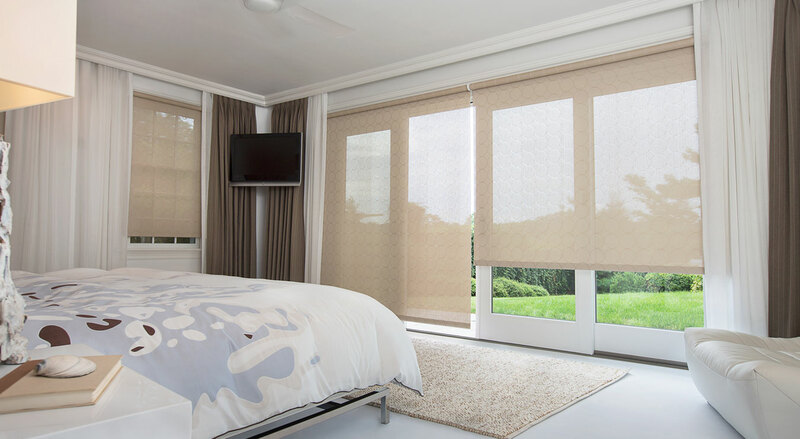 You can customize Panel Track Blinds to precisely fit the needs of your space; they can open left or right, or you can select a split draw, allowing the blinds to open out to either side of your window or door. The width of each panel will depend on the length of the area covered. Each Panel Track Blind system will come with between 3 and 9 equal-sized panels determined by the overall width of the treatment and track. 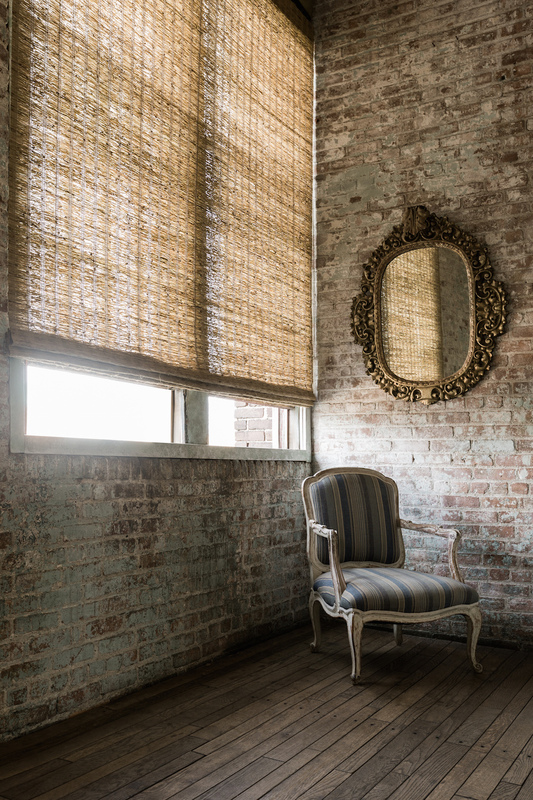 These window treatments are so versatile, they can be used over wide expanses of windows, sliding glass doors, or even as standalone room dividers. Lauren King of Lauren King Interior Design created a polished room divider in the studio apartment shown below, using Panel Track Blinds to offer a divider between the bedroom area and the rest of the living space. The panel system means that even large blinds spanning wide spaces glide effortlessly. 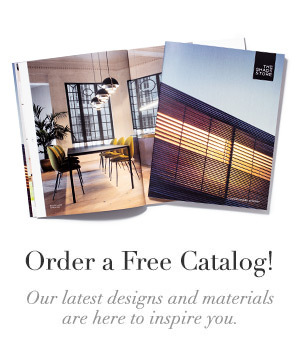 Order free swatches of any Panel Track Blind material, or visit a showroom to see them in person. If you’d like to preview these blinds in action in your space, take advantage of our free Photo Rendering Service. Send us a photo, and our designers will add the window treatment of your choice to your windows or doors. When you need to add a layer of privacy over sliding glass doors, there are plenty of window treatment options, including blinds, curtains and shades that elevate your home’s style beyond those old-fashioned vinyl vertical blinds. Since sliding and patio doors often see a lot of traffic, you want window treatments that open and close easily and can withstand heavy use. Since a sliding glass door can fill your home with natural light, it is important to consider how much light you want to let in when shopping for window coverings. Choosing the right window treatments will give you the ultimate ability to control how much light shines in. With custom sliding glass door window treatments from The Shade Store, it’s easy to add style to your sliding and patio doors without sacrificing functionality. 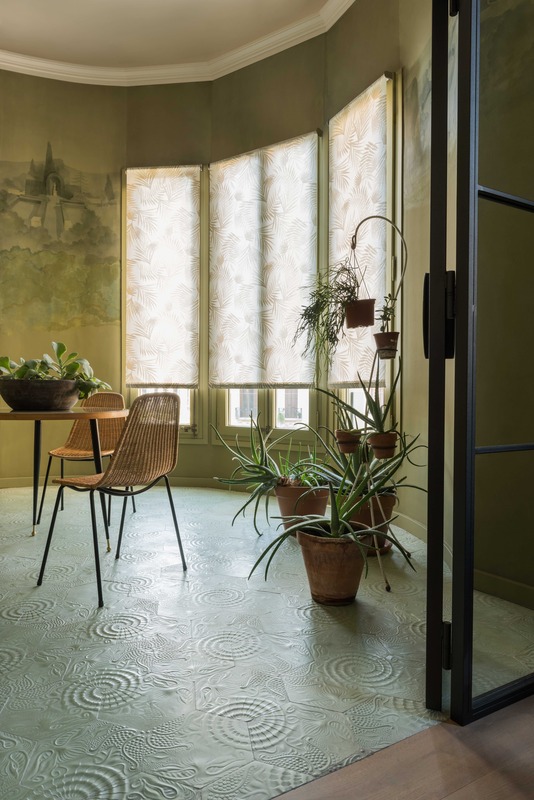 To make the selection process easier, we’ve included ideas and recommendations for the best sliding door window treatments. 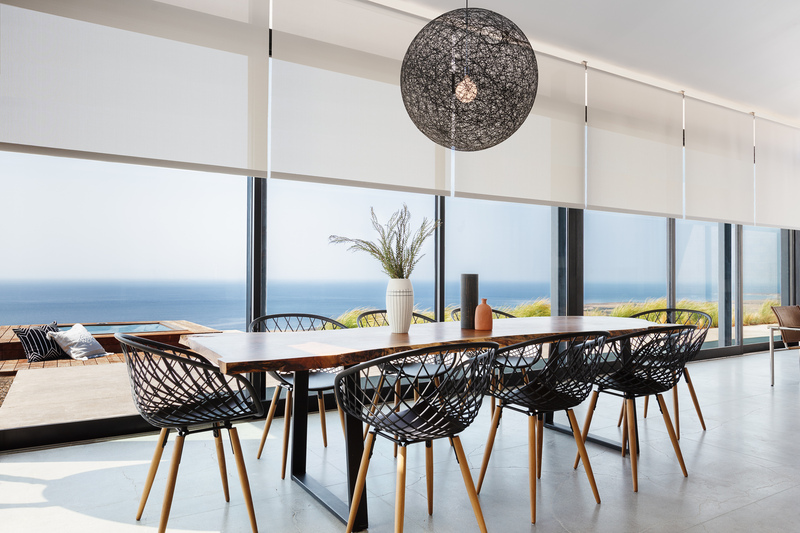 Whether you’re looking for more privacy, better light control, or glare reduction, Shades are a versatile window treatment solution for sliding glass doors. When choosing sliding glass door coverings, shade styles including roller, solar, and Roman provide a custom fit that elevates the décor of the room. 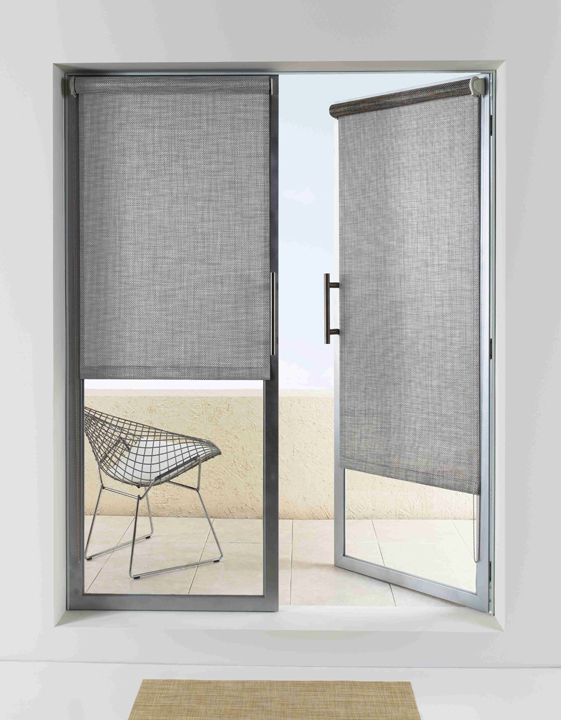 Solar Shades: Use Solar Shades if your primary concern is reducing glare and blocking UV rays. Solar shades for sliding and patio doors are available in a variety of transparencies; for example, our 10% material blocks 90% of UV rays. Solar Shades are also perfect window coverings for your sliding doors if you want to maintain a beautiful view. Roller Shades: For a wider variety of material choices and transparencies, try Roller Shades for your sliding glass door. 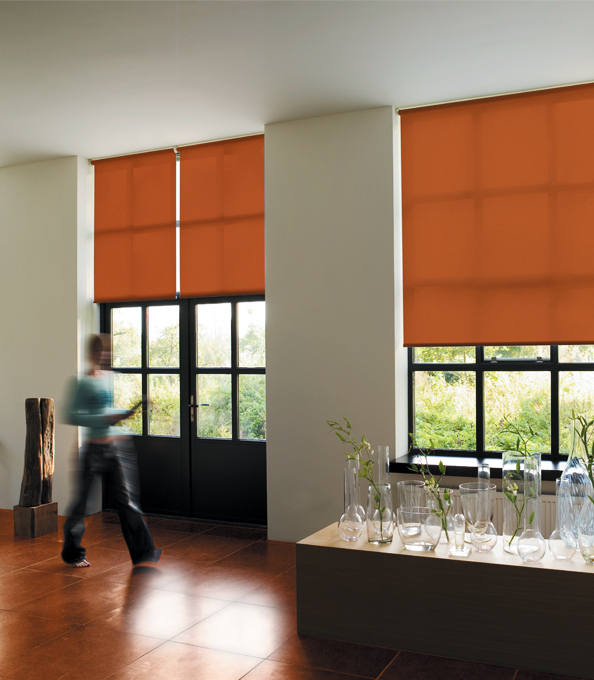 Available in light filtering, blackout, and print options, you can coordinate your shades with any style of décor. Roman Shades: Sleek, sophisticated, and highly functional, Roman Shades are a steadfast window treatment solution for sliding and patio doors. The bottom fold of each Roman Shade ensures a clean look when the shade is lowered, and a neat stack when the shade is raised. roman Shades also function well with every day use — perfect for high-traffic areas. All shades and curtains for sliding glass doors can be crafted in widths up to 144”, so you can cover a wide set of sliding doors with one shade or opt for multiple shades to dress the space. Blinds are a versatile and functional option for covering sliding glass doors. 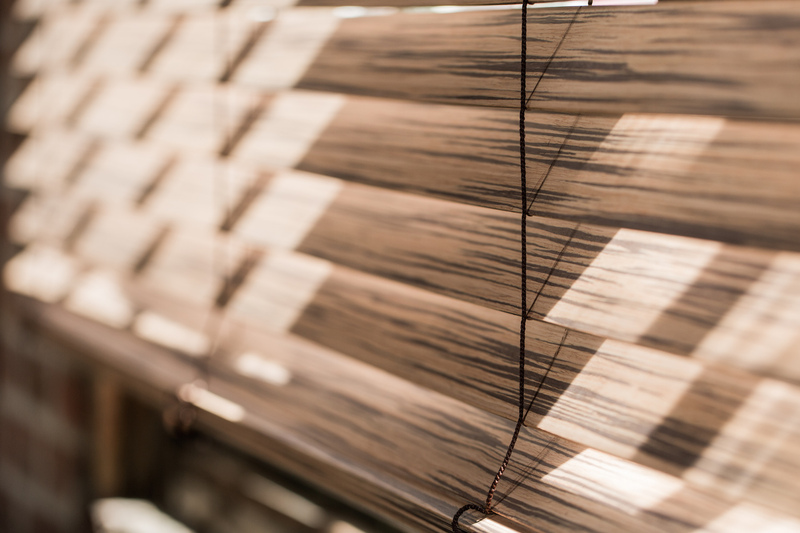 The Shade Store offers an extensive and stylish selection of handcrafted blinds, including vertical blinds, wood blinds, and panel track blinds. Vertical Blinds: Custom vertical blinds for sliding glass doors are yet another option to consider for your home. Meticulously handcrafted, our sliding patio doors blinds offer durability to withstand everyday use. 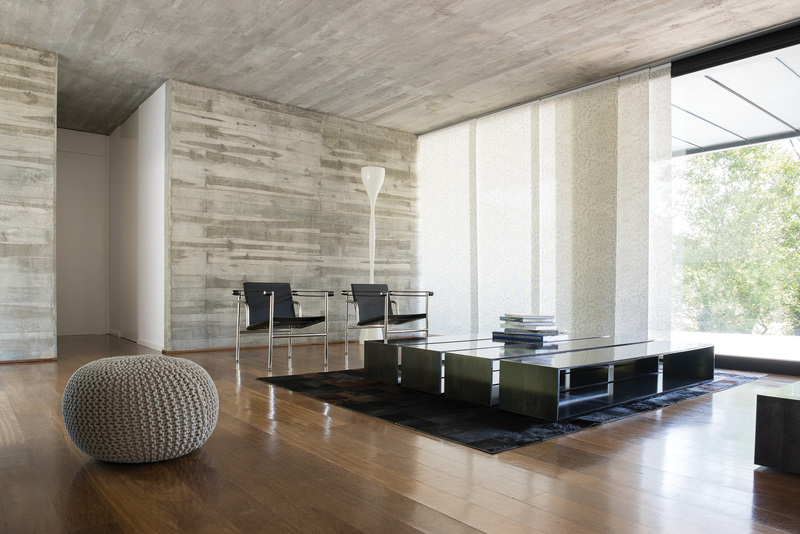 Sliding door blinds also offer a sleek alternative to drapery. Panel Track Blinds: An incredible update to standard vertical blinds, our Panel Track Blinds are ideal option for sliding glass door blinds. The Cord or Baton (certified “Best for Kids”) control options from The Shade Store slide effortlessly along your choice of a White or Silver track. You can also choose the opening direction: to the right, to the left, or split from the middle. Panel Track Blinds can be mounted on the ceiling, inside the sliding door frame (inside mount blinds have minimum depth requirements), or outside the frame. With 300+ colors and a variety of privacy levels, Panel Track Blinds are a great option for patio door window treatments. 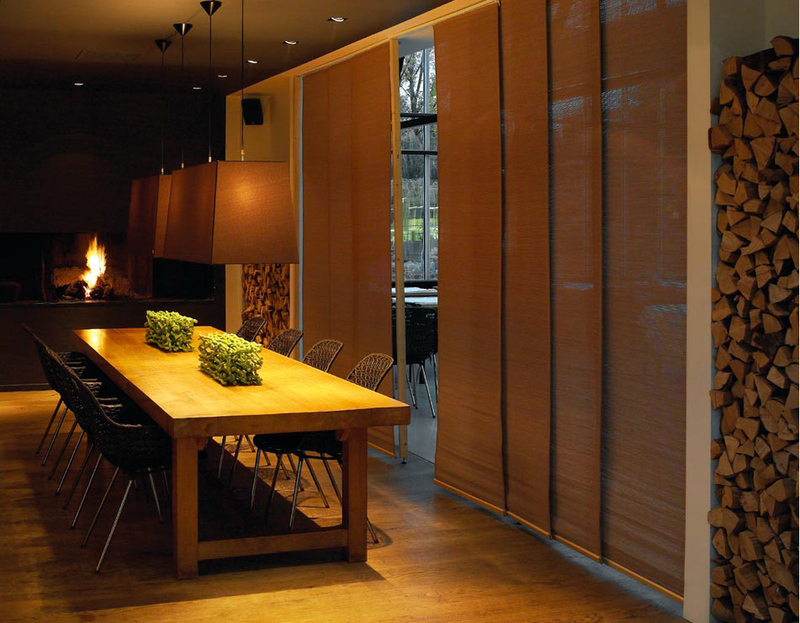 Blending beauty and functionality, drapery is a stylish and elegant solution for covering sliding doors. 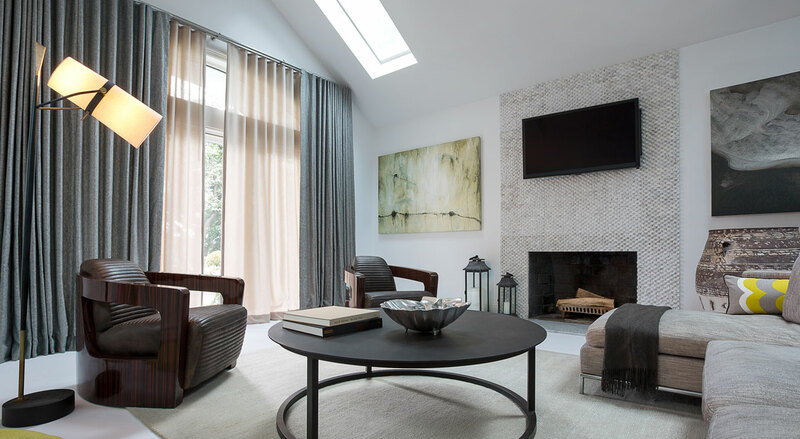 Our custom drapes glide effortlessly to allow you total privacy and light control. With 6 custom styles and more than 650 exclusive materials, you’ll be sure to find the perfect combination for your sliders. Ripple Fold drapery: If you’re dreaming of soft folds of fabric billowing around your glass doors, Ripple Fold Drapery fits the bill. Similar to Panel Track Blinds, Ripple Fold Drapery has sliding panels that glide along a track mounted either to the ceilings or the wall. Choose between Cord, Baton, and even Motorized control options to fit your needs. 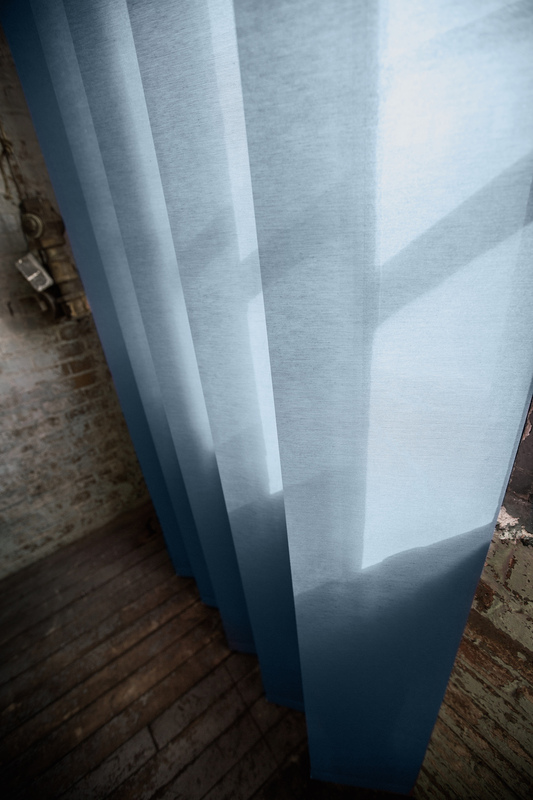 Tailored Pleat Drapery: Another elegant solution for covering sliding glass doors, Tailored Pleat Drapery is effortlessly beautiful with a clean hang thanks to its signature waterfall pleat. This drapery style is incredibly functional and easy to operate. Elevate your sliding glass door window coverings by layering curtain sheers under a more substantial materials for the ultimate privacy control, or try a fabric from one of our exclusive designer collections. 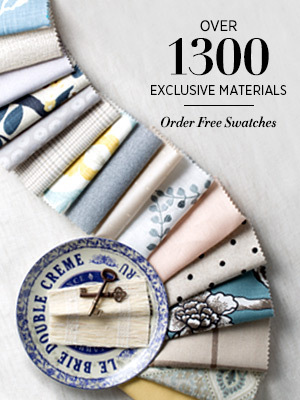 Drapes are available in over 450 colors. No sliding glass door is complete without the proper hardware. Our exclusive hardware collections are designed to perfectly complement to our custom drapery line. With over 50 finishes to choose from, you’ll find the ideal hardware to tie the whole look together. Choose from the traditional rods and rings, or opt for the motorized track for effortless control. If you’re preparing to dress your sliding glass doors, we are happy to help you choose the perfect window covering. 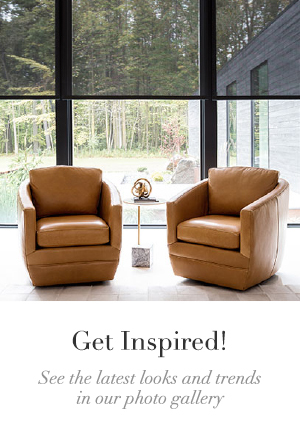 Browse our online photo gallery for sliding door window ideas, order free swatches, or talk to an expert Design Consultant in one of our nationwide showrooms.